For this week's submission I have the two units, some more Death Guard and Greeks (Spartans). 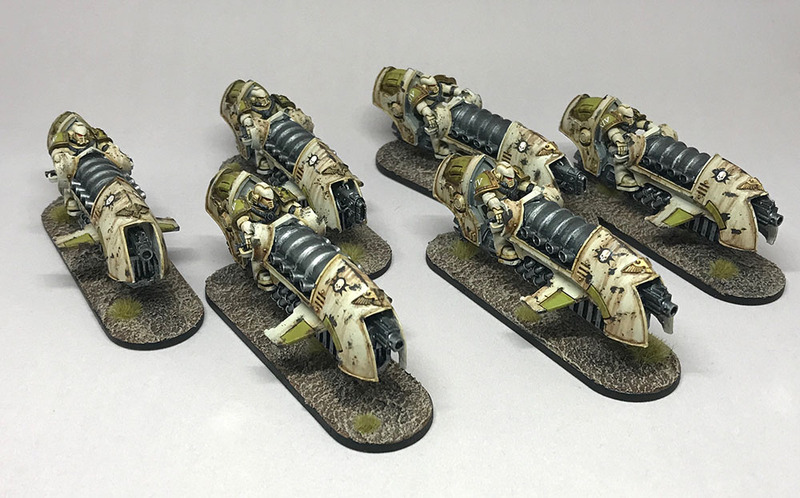 First up is the unit of 30k jet bikes that I was trying to complete last week, at the last minute for submission. They ended up taking longer than I thought with last minute details like all the control buttons and screens, the seats, and getting the bases just right. 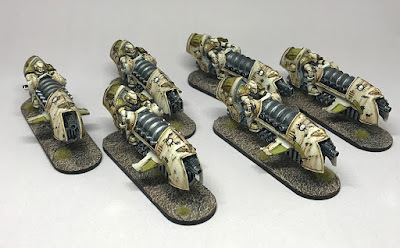 This unit is made up of 6 scimitar pattern jet bikes from the Horus Heresy era. I fell in love with these when they were released a few years ago, but the price kept me from buying them until recently. I didn't want to do a small squad of 3 since they would get wiped out too quickly like that, and I wanted them to have some staying power, so I did 6 of them. Similar to all my other 30k Death Guard units, they have been painted to show heavy damage as they fight against the traitor Horus on Istavan IV at the outbreak of the war. 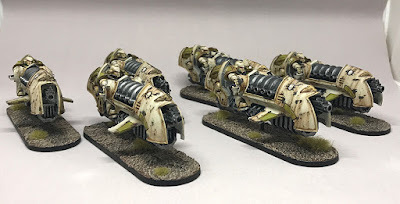 I picture these bikes hovering along barely skimming the ground, rather than flying around like the Eldar jet bikes do. Therefore, I put some short brass rod into the bases to mount the bikes on at various heights, but all low to the ground. While 1 or 2 are a little too low when view up close from the side, I like the effect overall and think they look much better this way than the official "up in the sky" look. 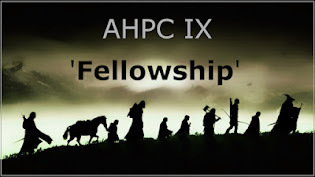 Next up, I continued along on my Greek project, really trying to make sure I complete enough over the challenge to host a valid game with them for the Fawcett Avenue Conscripts and not have to wait until next years challenge to finish them up. 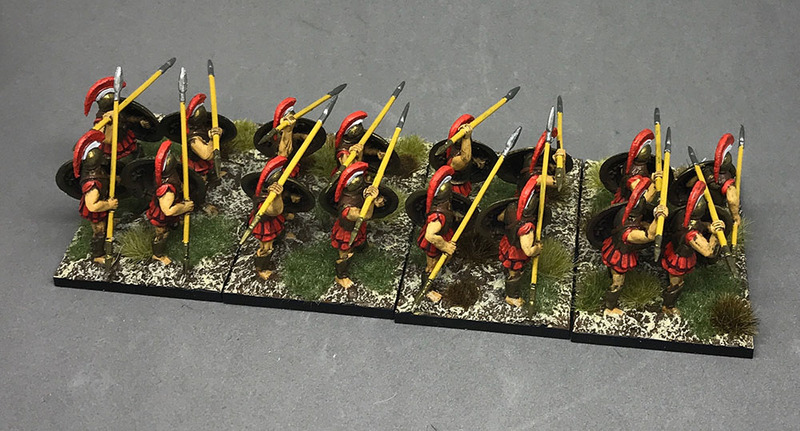 This is another unit of 16 of the Warlord (Immortal) 28mm Greeks, once again done up as Spartans. I am pretty sure I will paint the remainder of the armoured Warlord figures as Spartans to keep the look consistent for them. 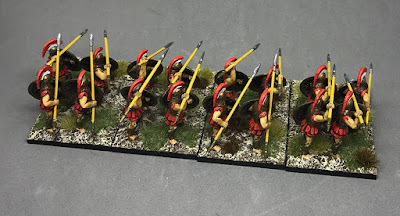 I will keep the Victrix ones that I have for Athenian and Thebian units as they are already supposed to look slightly different. 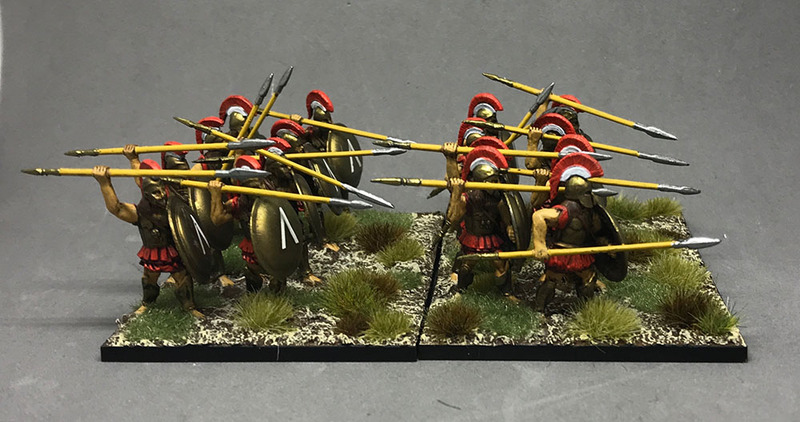 This unit is once again done up on 40mm wide x 60mm deep bases to help protect the spears and allow bases to meet in combat rather than trying to line units and breaking spears off while trying to intermingle them. 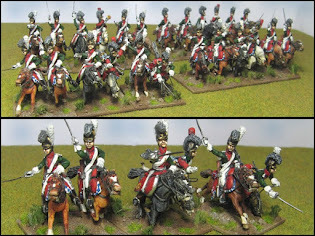 While I really don't care for the figures, the lack of detail and the uniformality of them certainly make the units fast to paint, and they don't look bad once they are ranked up. Four units down, only a LOT more to go. Another fabulous post Byron, but the stars of the show, for me, are the jet bikes - they are so cool! I love the basing solution and when I went back to have another look at them found myself making all sorts of silly sound effects as I imagined them buzzing around the battlefield. Tremendous painting, basing and detailing and so I will be awarding points for full vehicles giving you a healthy 170 points to your tally. Bravo Sir! Amazing work, Byron, those jet bikes are a treat! Grand work, Byron! The Spartans look outright shiny compared to the Deathguard bikes! I like the weathering and ground skimming of those bikes. I agree that three is a bad number for such a unit. 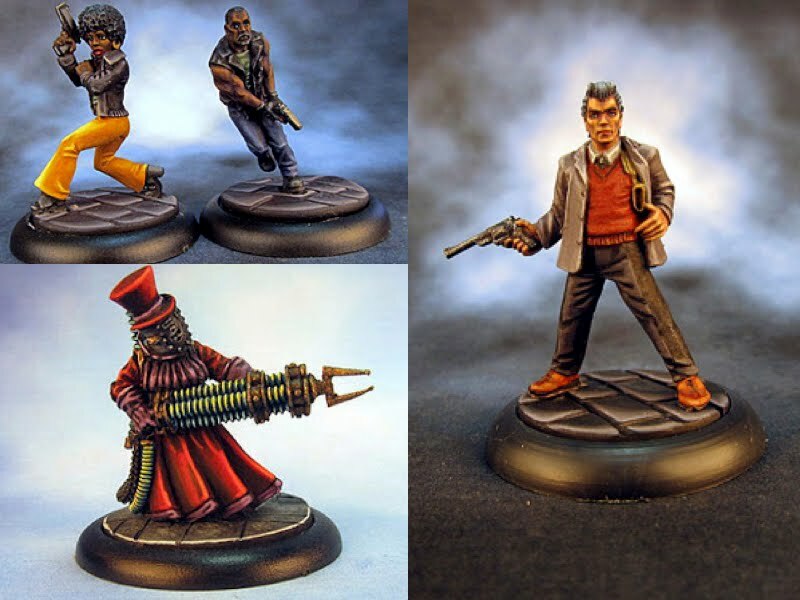 These fellows are in a nice size and painted really well. I like the basing on the Spartans and that polished bronze look of the armor. I hope you'll get us a group shot of that Greek army soon! Thanks David. AK / Mig weathering products make that stuff so easy! 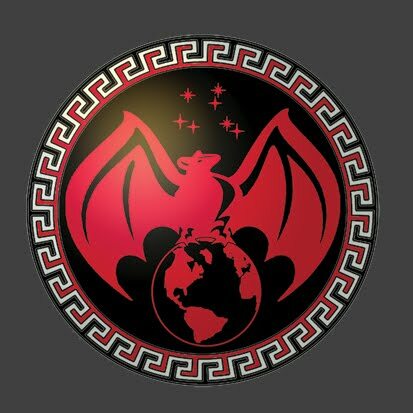 As for the Greeks, yes a group shot will be coming in the next week or two, I want to get a few more units ready first. 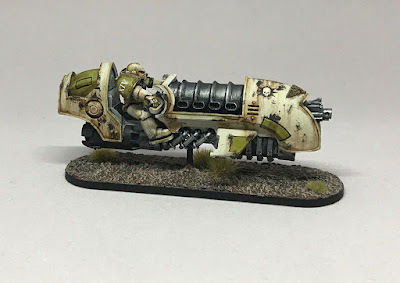 I really like the battleworn look of the jet bikes. 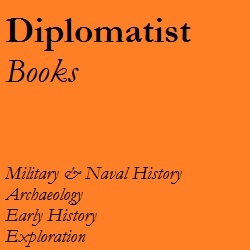 Excellent work Byron, I do like the Greeks. Fantastic jet bikes! They're so good and brilliantly painted, the Spartans are good but the jet bikes are awesome! Great work all around Byron! Wonderful work on the jet bikes and those Spartans look bloody marvellous! 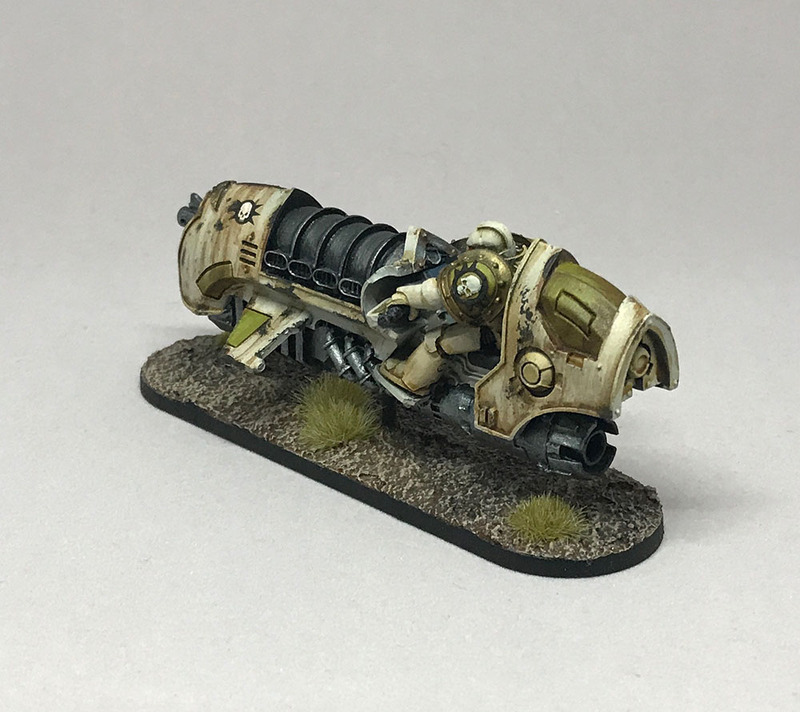 Well done on the jetbike basing, they look great! And those Spartans are superb! Thanks Barks, yeah the clear round GW bases did nothing for me, they needed something different. Awesome. Love the jetbikes and the superb weathering on them. 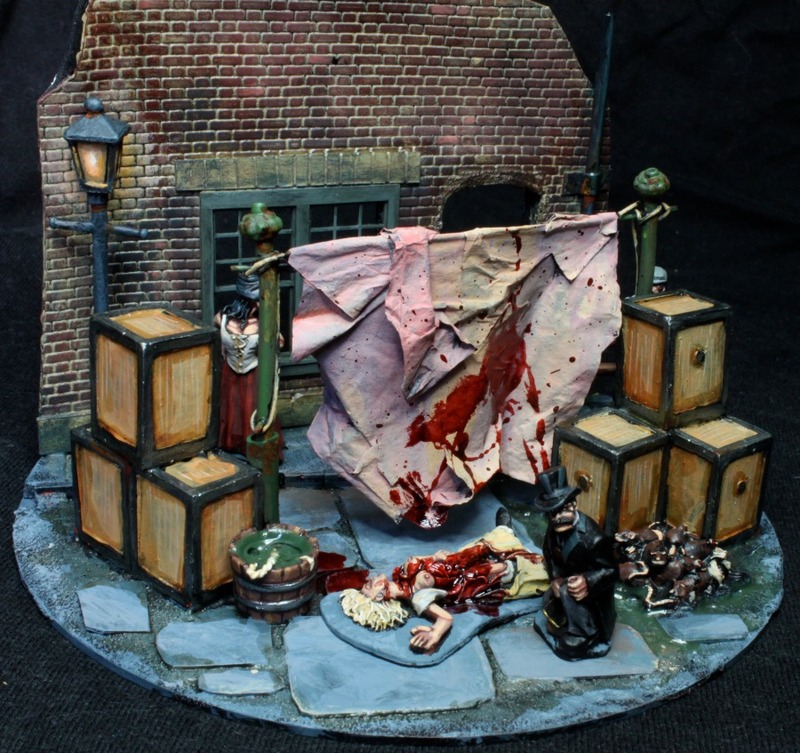 Excellent wear and tear painting. 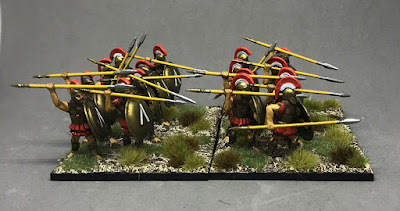 Love the Greek infantry as well. Great job Byron. Those jet bikes are f****ng ACE! 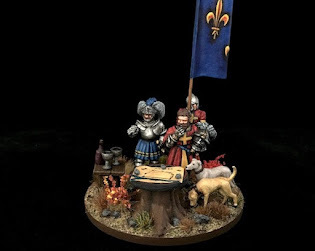 A very cool 30k element for the table!! Lovely work Byron. You're making the best of those Greeks (meaning damn good) and those bikes are awesome. 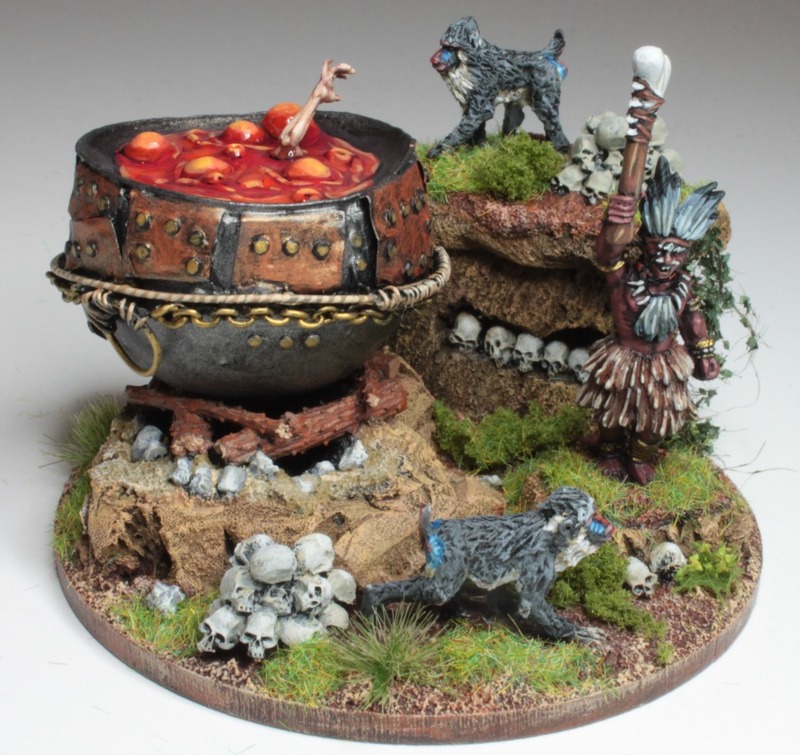 Good idea to go with them skimming and on pill bases. Cracking work Byron! Your death guard minis are really inspirational!